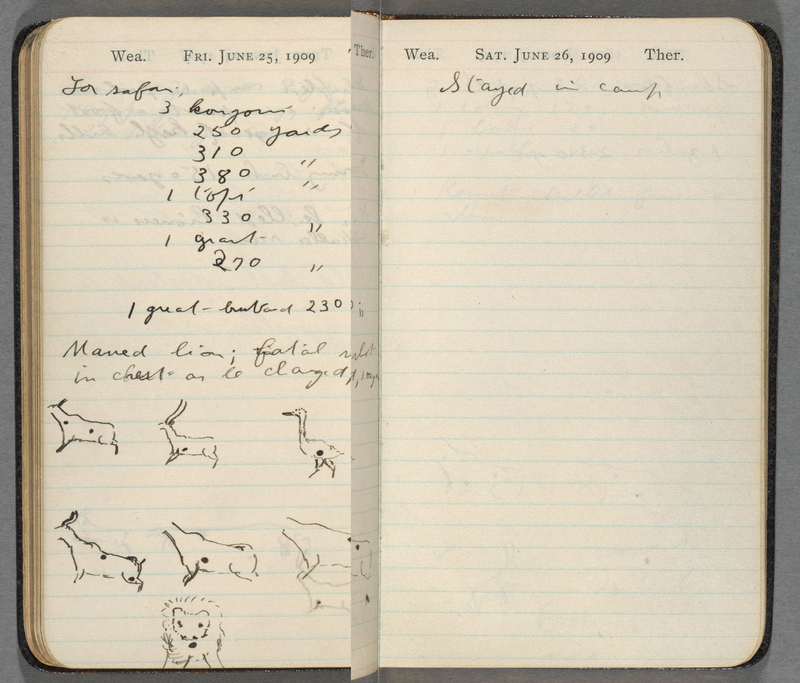 This 1909 safari diary was the inspiration for my study of Theodore Roosevelt’s field notes. I had learned that many of Roosevelt’s field notes were housed in Houghton Library, and when I began to review this document I realized that they presented a fascinating example of how Roosevelt was someone who sought out opportunities to learn directly from the world. 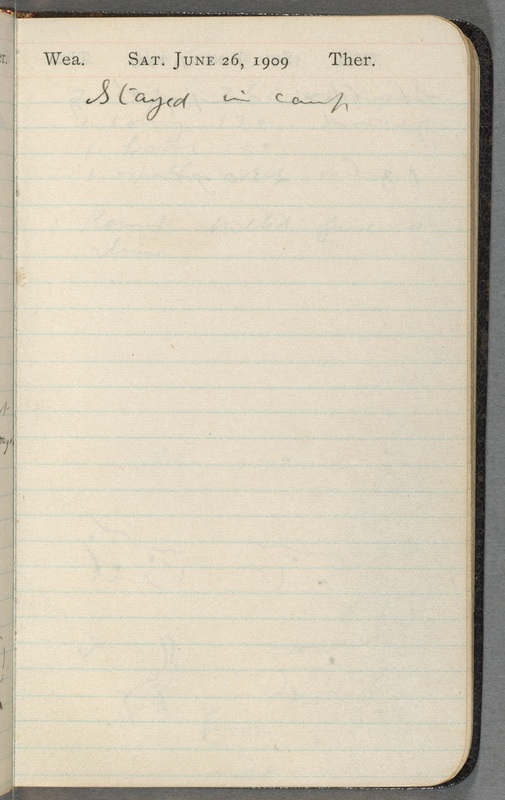 Roosevelt began keeping notebooks as a child, and he continued throughout much of his life. 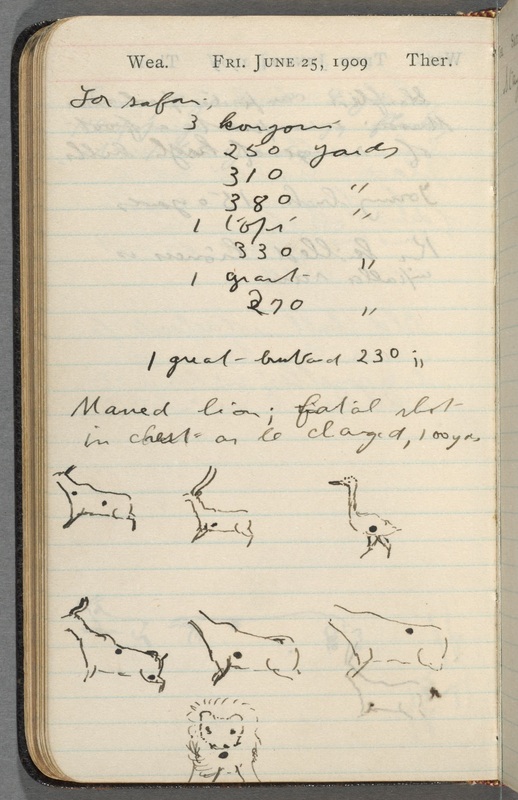 In Africa, Roosevelt kept his field notes both in the Excelsior Diary seen here and on the pads of paper he used to compose the articles he wrote in the field, which were later published in his book African Game Trails.